Santorini is a most magical place. 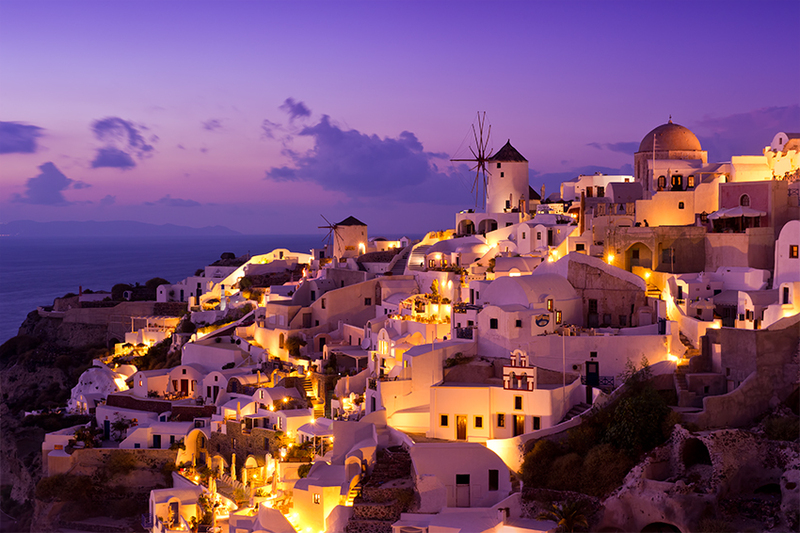 In the village of Oia, the sunsets will take your breath away, but it's twilight that captures my heart. The whitewashed architecture is uniquely beautiful, built into the sheer volcanic cliffs. You can see some of the older cave style structures in the foreground. Hundreds of people flock to watch sunset which is amazing from almost every vantage point. After sunset, people leave, everything quiets down, the light starts to get interesting, this is my favorite time to make pictures.